Insider/Outsider – The Politics of Who to Listen to | GenderBen! As someone who works on non-binary gender identities without unequivocally being an in-group member (though as previously discussed, it’s a little bit complicated), this is an important issue for me. There’s a long and unpleasant history, and not just relating to gender, of people speaking over the voices of groups they are not members of. Of speaking for or about people in ways those people did (or do) not like. This article is not a debate about whether this is a problem or not: it is. 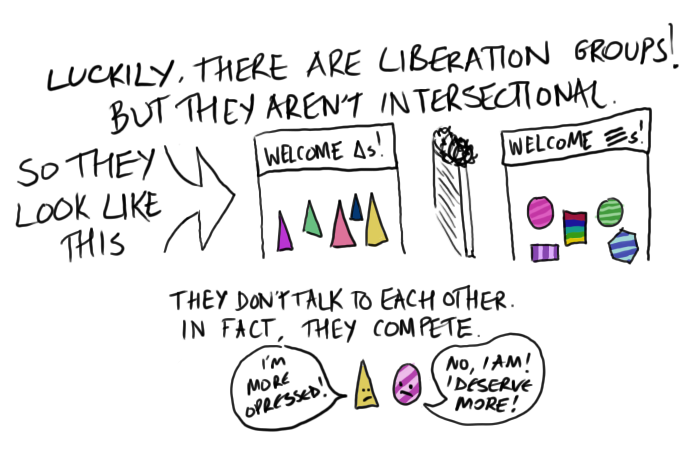 Recognition of privilege is something that everyone has a moral imperative to engage with – in part to simply avoid being an ignorant arse who doesn’t recognise hardships others face that they don’t, but also because oppressions are intersectional, which is best illustrated by the comic below – originally posted by Miriam Dobson here. 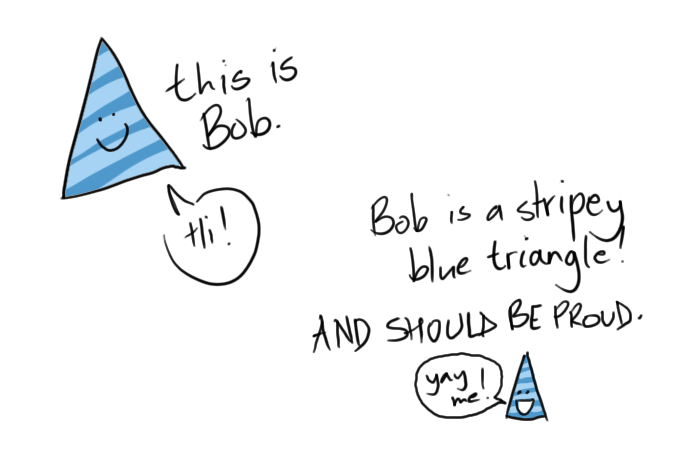 However, whilst it’s a good rule of thumb to listen to in-group members telling you things about their group, especially when you’re not a member of that group, there are additional complexities that are worth recognising. People within marginalised groups disagree. This should be pretty obvious. Any population big enough to be associated with a social oppression (be that people of colour, queer people, trans people, women, etc.) is going to contain vast swathes of differing opinion. This raises two important points, that may seem a bit contradictory. Firstly, marginalised people can be wrong about things that pertain to the group they’re a member of. Secondly, issues can easily become complex enough that claiming there is a ‘right’ and a ‘wrong’ becomes simplistic or troubling all on its own. It’s important to add that the *possibility* of error on the part of a marginalised person doesn’t mean it’s okay for someone to use this to conveniently dismiss claims they don’t like. Especially those claims that come from direct experience. Experiences of different people can contradict, and don’t respectively erase each other. It’s a complex world we live in. 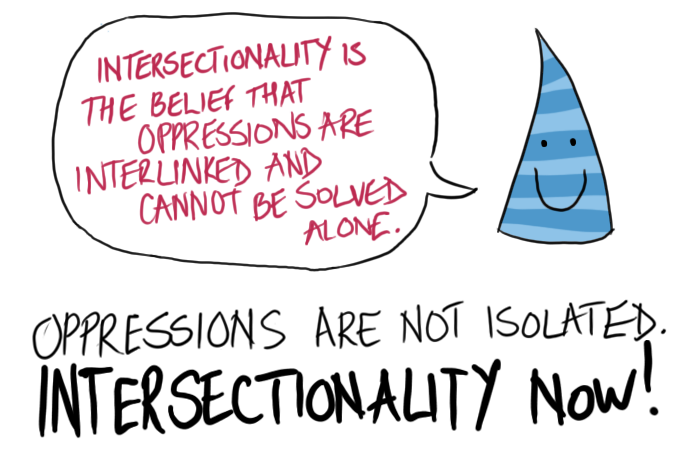 People new to marginalised groups don’t magically become experts immediately. Some never do. I heard one transgender activist put it this way: ‘coming out is like saying you want to do a GCSE in maths, but then people start asking you advanced calculus all the time and expecting you to know the answer’. Each person is the authority of their own life. But that’s different to being equipped with an arsenal of political, academic, or activist language and nuanced understandings of what things can mean to different people. It’s different to an awareness of historical or cultural contexts, politics, precedents, or social structures. In some cases, it’s vital to remember that a marginalised person doesn’t need any of those things for their voice to still carry a weight and value that a non-marginalised person’s cannot – such as voicing experience. It’s also a problem to expect everyone to be an expert, as not everyone is or wants to be a scholar or an activist. Whilst I would suggest most people don’t believe you need to be a member of a demographic to study a particular demographic, it’s a good rule of thumb that lived experiences trump theoretical awareness. Experiencing something doesn’t make someone an expert, but there’s a reason why many people who do experience an oppression do become experts – because they have a particularly powerful motivation to do so. We could of course ‘what does ‘expert’ even mean anyway?’ but that’s a different discussion. 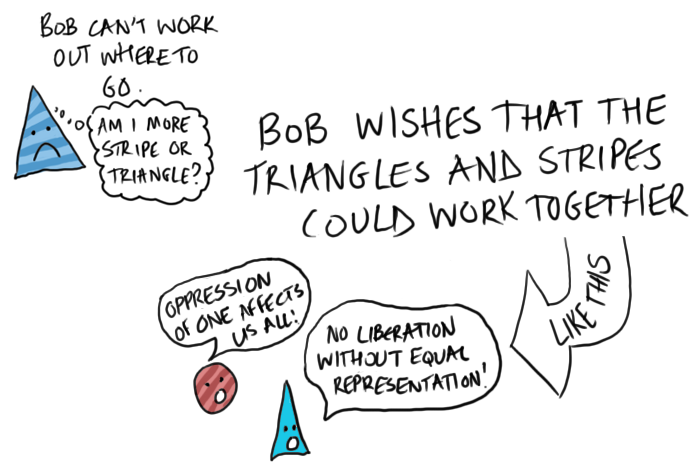 If a marginalised person says ‘we want this’ or ‘we experience that’, it is more likely to be a slight simplification, or a political statement with a particular purpose rather than something hugely problematic. Their social positioning to the political meaning of the statement is changed and charged by their in-group status. 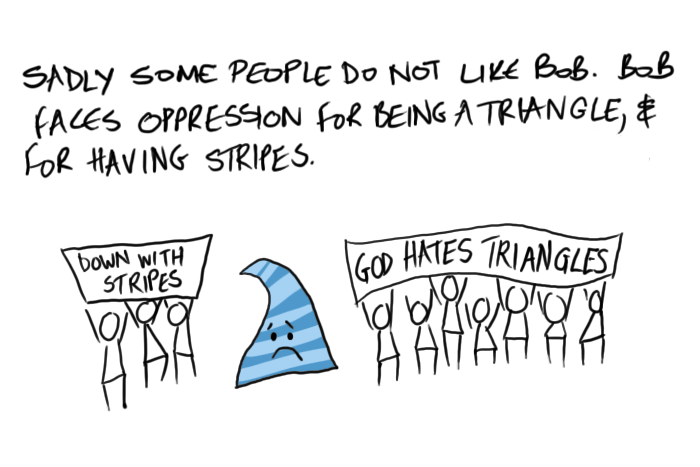 Experiencing one oppression doesn’t mean someone is sensitive to other forms of oppression, necessarily. 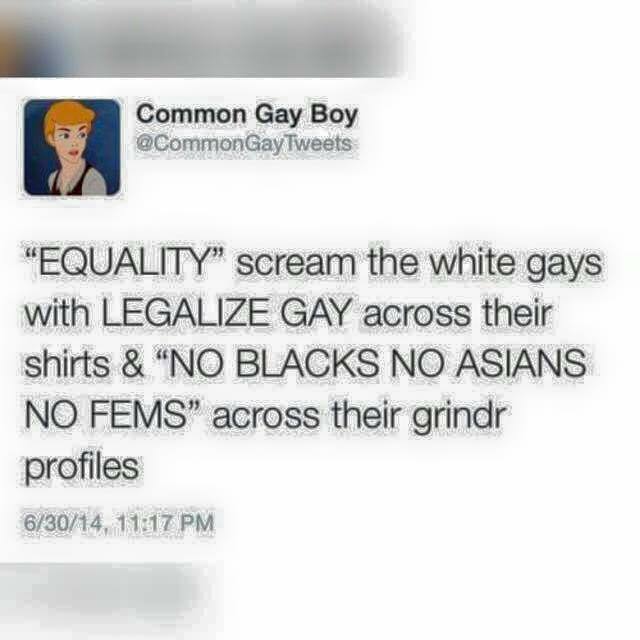 You find racist gay people. You find homophobic disabled people. You find transphobic women. This can often have troubling implications, as if they’re highly politically motivated to fight for the rights and well being of their group, they’re almost certainly leaving someone out in the cold. Often, if a scholar does work on a particular group of people, and many members of that group take issue with what they’re saying, it’s extremely pertinent to listen to the actual people, rather than the theorist. This is illustrated rather perfectly not just by history (it was the highly qualified, expert doctors who decided that homosexuality and transgender were mental illnesses, no?) but also by the continued work hate speech of scholars polemicists such as Janice Raymond and Sheila Jeffreys. Ultimately, knowing who to listen to can sometimes be a complex ethical process, dependent on collecting and processing lots of information. But if in doubt (or even if not, in fact), listening to voices of experience is your best bet. The devil can be in the detail where contradiction comes up, but this only heightens the importance of education.